¶ What are color fonts? ¶ Where can I use them? ¶ Where can I get some? ¶ How can I make color fonts? Color fonts can impact any type of text, since they may contain any type of characters, including emojis and icons. Note that colors fonts are sometimes referred as chromatic fonts, which is actually a bit more accurate since they may include multicolored, grayed or even single-tone characters. A color font file is actually just a regular font file that embeds additional data to display more graphic properties than the contour shapes of a character. Color fonts are now generally stored as SVG data inside OpenType font files. This SVG (Scalable Vector Graphics) format can hold vector shapes with color or gradients, and may also include bitmap images - thus leading to bitmap fonts. So color fonts are now officially referred as OpenType-SVG fonts. The OpenType-SVG font format was initially designed by Mozilla & Adobe and became an industry standard in early 2016, when other big players including Microsoft & Google agreed on a single format to support color fonts. All of them (including Apple) have previously developed and implemented their own proprietary color formats to display emojis on their operating systems, while many other companies built other custom color font technologies for the gaming, video or print industries. Due to the differences and incompatibilities of these formats, the design industry is going through a transition period during which several color font formats may be needed to ensure cross-platform compatibility across several operating systems, browsers and apps. But OpenType-SVG seems in great position to become a golden standard now that three operating systems support OpenType-SVG fonts: Windows 10, macOS Mojave, and iOS 12. A solution to mitigate this issue on legacy software? 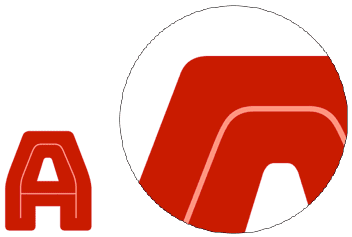 Color fonts can also include some alternate vector shape data as a fallback solution for software that do not (yet) support any of the embedded color formats. A color font file is generally larger than a regular font file, and a lot more when the font embeds high-resolution bitmap characters. Whereas fonts usually weigh tens to a few hundred kilobytes, color vector fonts can reach hundreds of kilobytes to a couple megabytes depending on their visual complexity. Color bitmap fonts may range from a few megabytes to tens of megabytes, and sizes increase when multiple color font formats are embedded in a single file. Good question! Color fonts based on vector glyphs can be resized without any loss, just like any regular font. Color bitmap fonts, like any other photo or pixel-based image, will scale properly up to a certain size, depending on their original resolution. Beyond that resolution, the lettering will look pixelated. So whether you print a text with a color bitmap font or display it on high resolution screens, you will have to check up to which size it could properly scale. 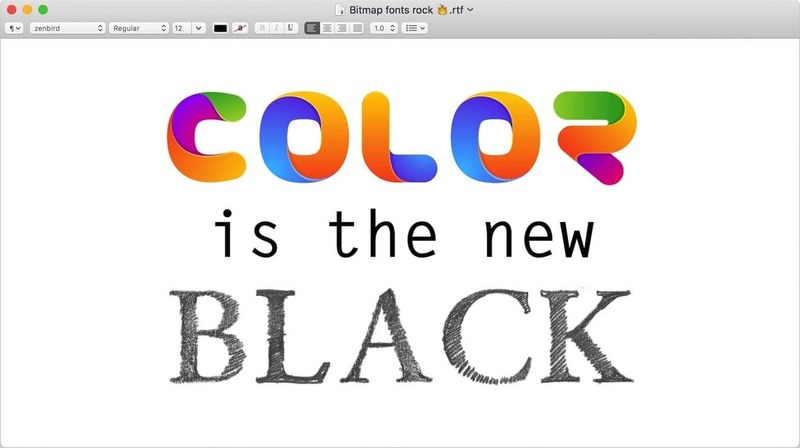 As color bitmap fonts will be used in such different contexts like web or print, designers will need several versions of the bitmap font files, with full-size images for desktop editing and downscaled versions for the web. Where can I use color fonts? 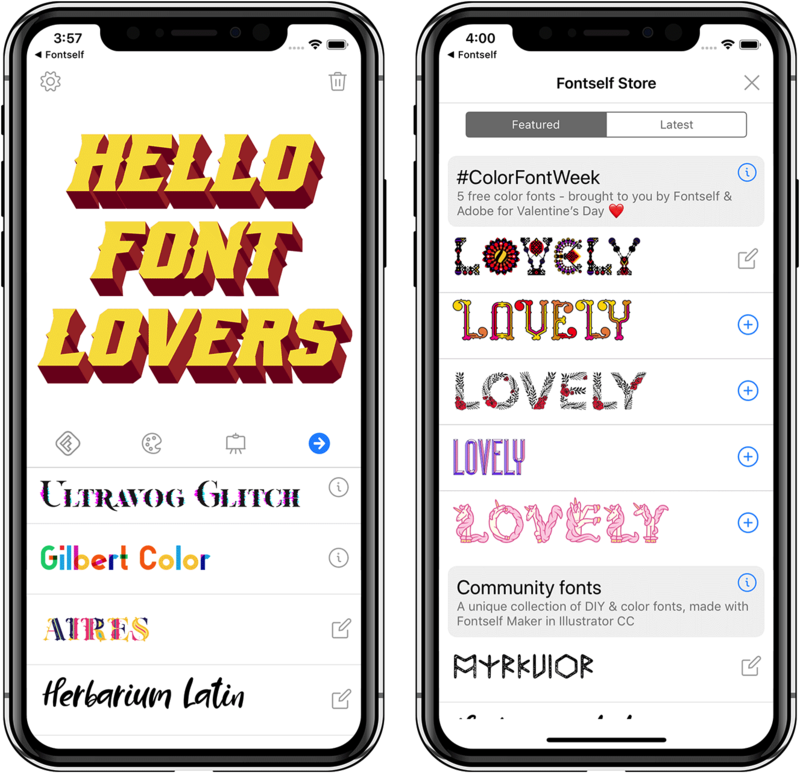 Now that OpenType-SVG has been adopted as the industry standard, there is good chance that you can start using color fonts across your favorite software and hardware. 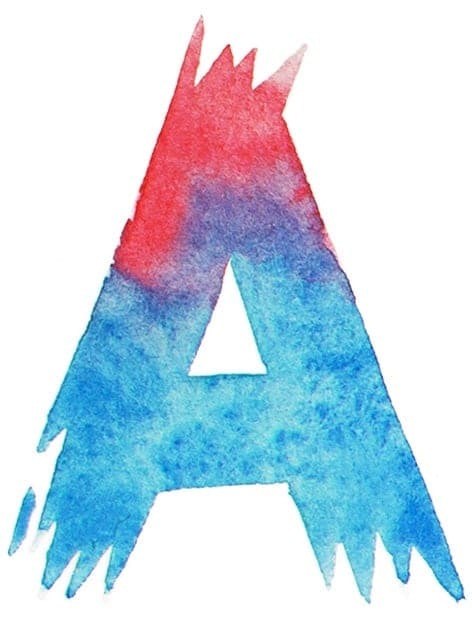 Where can I get color fonts? And also visit the world's first color fonts collection on Creative Market. Want more? 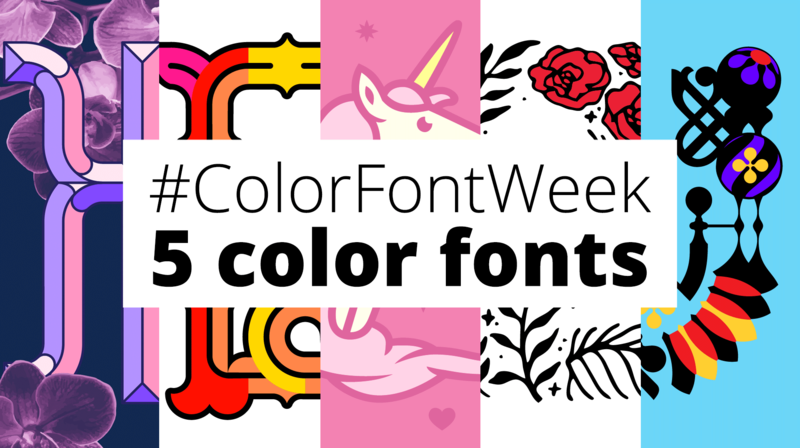 We will post beautiful cherry-picked color fonts made by super talented designers (including some freebies). Subscribe to our newsletter to be notified when they are released. How can I create color fonts? 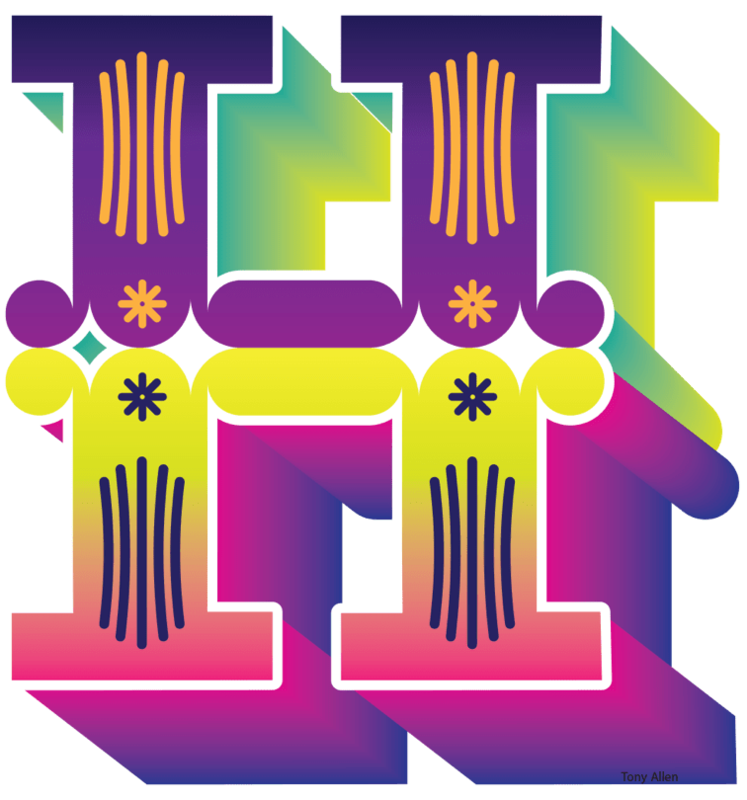 Follow us on Twitter @colorfontswtf - we'll be back with more news on color fonts. See you soon 👋 and don't forget to register to our newsletter. This website aims to be your one-stop place to learn everything about color fonts, to discover the latest and best color font designs, and to bring you more stories about the people behind them.